(This is a continuation and the background for my article at WashTech). I am a marketing guy who happens to specialize in B2G marketing. I watch the market closely, comment on it frequently, often sharing ideas that may not be popular, sometimes stating things many may think but don't have the venue to say. The freedom to write and say many things has garnered me attention well beyond marketing. I'd be lying if I said i did not enjoy the attention, but it comes with a self-imposed responsibility. I strive be be accurate, able to support my positions. I work hard at not being mean and taking cheap shots, except occasionally at Congress. And I try very hard to be open-minded, to be able to alter an opinion or acknowledge when I am wrong. As a marketing guy I have had more than my "fair share" of publicity, but I work hard to stay on the radar. So how did I get here? This is the timeline. There are lessons learned from each decade at the end. Late 1984: get tired of working for other people; Ronald Reagan is president. Jan 1985: I open Amtower & Co. Our original niche was compiling small databases of key feds: IRMs (old name for CIO), CFOs, Procurement execs, Program managers, trainers. We sold these in a dbase program which generated mail labels. I started getting information from government mail managers and address requirements. 1988: a list client calls, and after a lengthy chat, at the end she says “What’s great about talking to you is you never send a bill…” The consulting side of Amtower & Co is born. 1988-1991: co-founded Assn of Mailers to the Federal Government with John Long of Federal Computer Week. We represented the top mailers (catalogs and business pubs) going into federal agencies. It was the first time the government trade publications acted in concert, making certain the magazines and (hopefully) other mail got through the labyrinth. We started meeting with the Committee on Mail Policy (fed mail mgrs) and discussing deliverability issues. Also started going on tours of various federal mailrooms, including the Pentagon. AMFG merged with the Direct Marketing Assn of Washington in 1991. 1988: I attend my first Federal Sources OUTLOOK and am awed by those attending- a veritable “who’s who” of the market. I met Tom Hewitt. 1990: first public speaking gig to a group of Canadian companies that want to do business with the US Federal govt. I said "uh" frequently and made little eye contact. 1990-?? 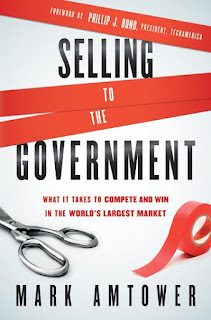 : There was at least one major GovCon trade show each quarter, sometimes more. FOSE was always the biggie, reaching a high of over 60,000 attenders. ComNet, Federal Computer Conference, TechNet and more. 1991 (Jan): first Amtower & Co public seminar, “Direct Marketing to the Government” – over 80 people attend the morning an ice storm hits town. 1991: met with my first GovCon CEO, Dendy Young of Falcon Microsystems. This occurred because Carol May (of FCW) told me my target client should be CEOs, not MarComs. 1992: Bill Clinton elected president. 1992: Married Mary Ellen June 27. Spoke at the GSA CASU conference in the middle of our honeymoon in Charleston, SC. 1992-1994: founded and produced The Government Marketing Services Conference and Expo (my attempt to run a major event. We took over the McLean Hilton ballroom and all meeting rooms for a full day – 3 years. I discovered that I should not manage conferences. 1993: I learn the real power of connections via Tom Hewitt and FOSE. Christina Nelson, in charge of the conference portion of FOSE, called and asked me to help getting a General at the Pentagon to return her calls. I told her I would help. I did not tell her I had no idea who this guy was, so I called Tom Hewitt, probably the best connected person in the market. 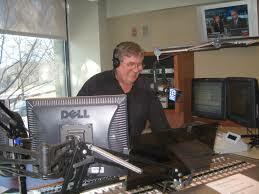 Tom knew “General “Buzz” and within 2 hours the General had called Christina and provided a speaker. 1994: my first major media profile/interview: profiled in AdWeek’s Marketing Computers, photo shoot on Capitol Hill the day after my daughter is born. 1995: August, Netscape launches Navigator and the world changes overnight. 1995: Jay Weinberg (then at Unisys) calls to tell me he’s moving to Chicago and thanks me for being his mentor. I am floored. I hadn’t viewed myself in that role. Jay told me I was mentor to many. 1996: Bill Clinton re-elected president. 1996: started getting quoted regularly in government and business trade press; to date, over 350 quotes and interviews. In Federal Computer Week alone I was quoted over 130 times, and over 100 in Washington Technology (excluding my articles). 1998: the first AmtowerOff-White Paper highlights the stats that GSA Schedules are dominated by a very small % of GSA Schedule holders. Richard Mackey of CapitalReps provided the research. 1999-2001: the “gov 2.0 dot bomb catastrophe” where those influenced by Silicon Valley and massive amounts of venture capital back nebulous B2G start-ups and lost big $. 2000: George W Bush elected president. 2001-2003: founded and chaired the Government Marketing Forum, monthly briefing for B2G marketers. 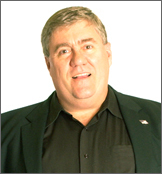 2003-2006: member, American Consultants League Board of Advisors. ACL offered certification for consultants. 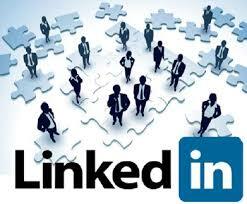 2004: joined LinkedIn February 11, member # 222,445. 2004: George W Bush re-elected president. 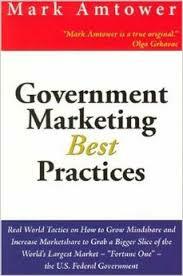 2005: Government Marketing Best Practices published as book; published by Government Market Press (an Amtower Company) – sells over 9,000 copies. 2005: The “epiphany” lunch speech at the annual MeritDirect coop. It was a hit. Several people asked for a copy of the speech and two of my advisors, Don Libey and David Powell, said it should be my next book. Summer, 2006: I get a call from a friend. He is at a VA Conference in Richmond and he tells me that as he is speaking, the VA OSDBU is in front of 300+ people holding up my book saying, “I don’t know who this guy is, but you’ve got to buy this book!” THE VA ends up buying over 2,000 copies on my book to distribute to small businesses. As the book was self-published, I was able to give them a great price. 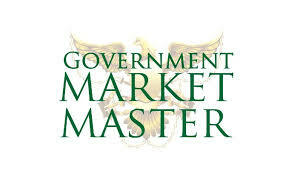 2007: Government Market Master program starts. First projects are CD interviews with industry experts: 3 hours with Bob Davis on business development and 4 hours with Max Peterson on selling to Uncle Sam. 2007: Why Epiphanies Never Occur to Couch Potatoes- the MeritDirect speech becomes a book. 2008: BtoB magazine selected me to be one of the Top 100 Business Marketers. I am the only consultant from GovCon ever awarded this honor. 2008: started writing about LinkedIn as a marketing tool in my newsletter; newsletter shelved after Aug, 2008. 2008: Barack Obama elected president. 2009: first speech on LinkedIn at Virginia Beach AMA session. Met some great people, including Steve Bain. 2009: winner, Rock The World With Your Online Presence, a LinkedIn profile contest. Seven profiles were ultimately selected out of 50 million. Mine was one of the seven. 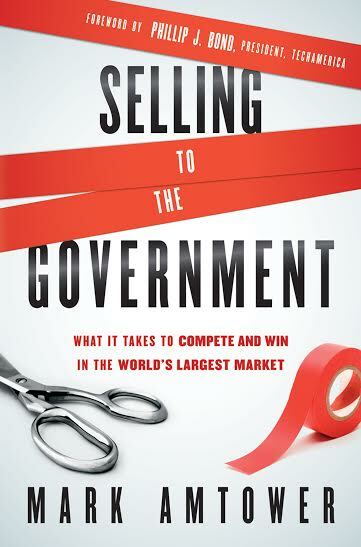 2011: Selling to the Government (John Wiley); 1st run is 10,000 copies; ebook version comes out June 2011. It hit the Amazon business best seller list briefly a few times. 2012: Barack Obama re-elected president. I have advised over 1,500 government contracting companies, written 300+ articles in various trade publications, been interviewed or quoted in over 350 publications worldwide, have presented at over 250 industry events, produced of over 150 public and private events, written 6 books, been on the WFED for nearly 12 years, contributed to Washington Technology for 9 years - and I am not done yet. - - Producing a major event is EXPENSIVE! - - Static Websites were cool – hell, at least you had one. 11) Who is the decision maker and how do I reach him/her? 22) What are the most effective marketing methods? 33) Should I exhibit at/attend (this) event? 44) What are the best sources for contract info? 55) What are the best lead sources? - the biggest lesson is this remains a relationship driven market and your reputation is your biggest asset. Bottom line: I am a marketing guy who happens to specialize in B2G marketing. I happen to have opinions and an educated point of view, which I share in multiple venues.